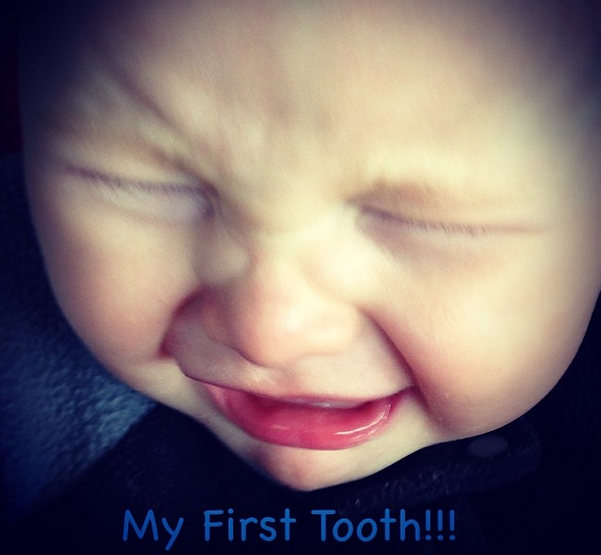 Just Another Day...: A Tooth! Finally! Tuesday, April 15, 2014. Little E's very first tooth finally popped through and made an appearance! His bottom left tooth! I'm so thrilled for him!! !